I love Christmas shopping because it gives me an excuse to visit all my favorite local stores. Like most people, I have a few people that are tough to shop for, so I like to browse around and see what Portland’s local businesses have to offer. So today I’m sharing 10 of my favorite local stores. They specialize in different products, so hopefully one will spark some ideas for the people on your list. (These are in no particular order). This is a great store for people who love design, have a modern aesthtic or just like clever ideas. It is beautifully curated with products that will make wonderful gifts. I come here looking for weddings gifts as well. Bird feeders, coffee pots, planters, jewelery, unisex bags, and fun knick-knacks. They DO have some expensive stuff, but there is plenty in the under $50 range. I’ve written about it before here. Stop in and check it out, then maybe pop across the street for a meal at Tasty N Alder. 2014 Update: Cargo moved this year to the SE Industrial area, kind of near OMSI. Someday I want write a post called “places in Portland that make you feel like you’re in a foreign country ” and Cargo would be on that list. 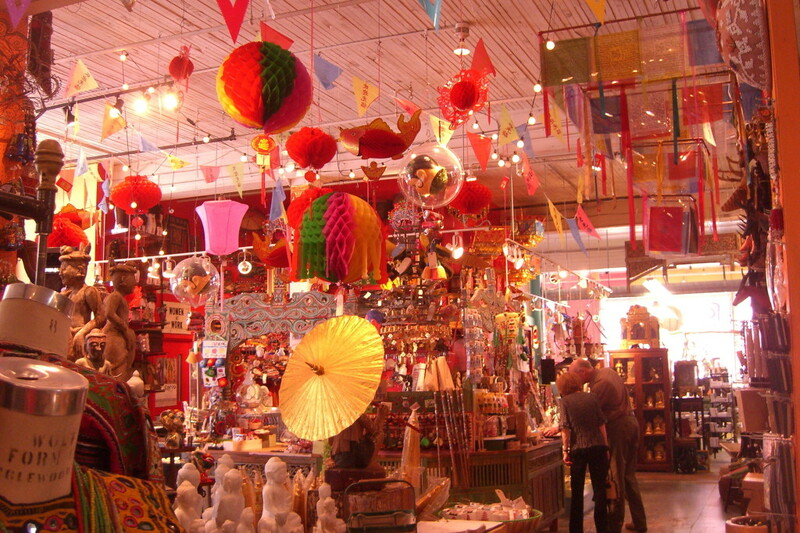 Basically, it’s an import store with products from all over the world. You never know what you’ll find, but they usually have some unusual toys for kids, decorations for your home, furniture, masks and a nice selection of jewelry. You really just need to stop in and see what strikes you. The place is huge and a little overwhelming so take some time to enjoy it. Here is my previous post for more photos. A store for the foodie on your list. This place sells two things, olive oil and balsamic vinegar. (Okay, they also have some salts and a few other nut oils.) I love shopping here because you get to taste EVERYTHING. They have sample cups next to each product and ideas on how to use them. Who doesn’t love samples? 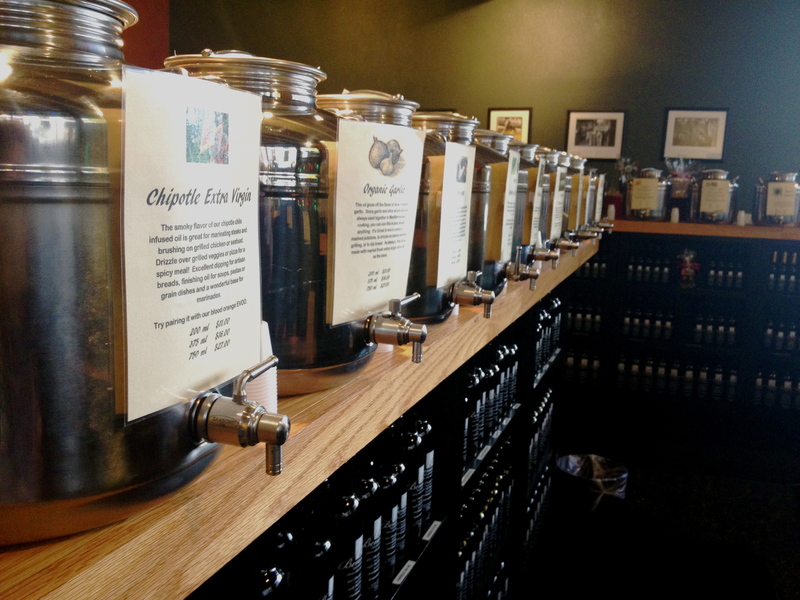 I love the flavored oils for my popcorn, and the flavored balsamic for salad dressings. I think any home cook would appreciate a bottle or two. I know I would. It’s a great idea for host/hostess gifts as well. Crafty Wonderland is a retail store in downtown, across the street from the Central Library, where they sell products made by local crafters and artists. 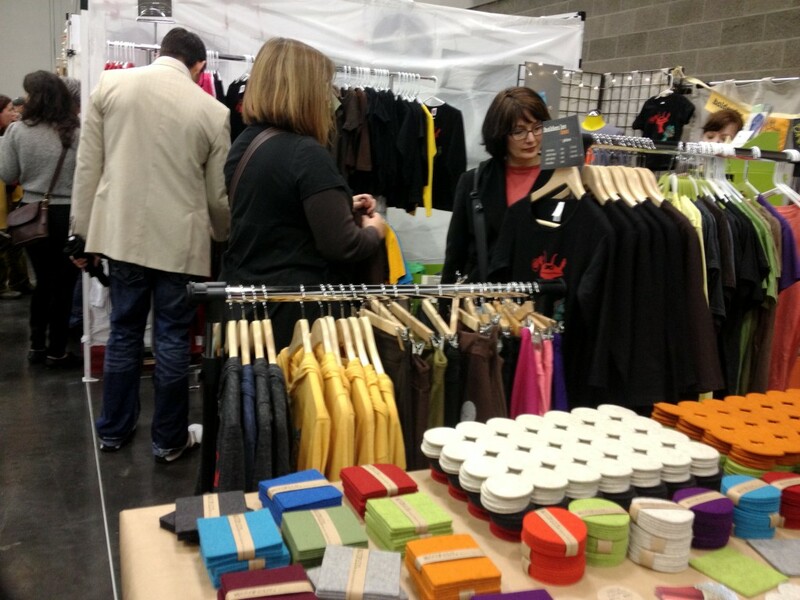 But it’s ALSO a huge weekend long sale at the Oregon Convention center that’s coming up on December 14-15, 2013. The store is cute and has nice selection, but the Colossal Sale is CRAZY. The selection is amazing with over 250 vendors: local stores, regional artists, crafts people, jewlery makers, soap makers, letterpressers and some stuff I don’t even know how to describe. It is packed and it is exhausting. Bring your patience and good spirits. I usually find one or two great gifts there and about a million things I would like to buy for myself. I wrote about their spring sale here. As the name implies, this is a store for the gardener in your life. Sure, it’s not exactly gardening season, but they have a great selection of tools, pots, seeds, house plants, and books to inspire a green thumb. I suggest checking out their selection of tools. Wouldn’t an ergonomic shovel or rake be nice? They also have some cool things for your home, lights, solar powered decorations, outdoor furniture. Maybe some neat vegetable seeds for stocking stuffers? Or maybe onion sets? A beautiful new indoor plant is always appreciated. 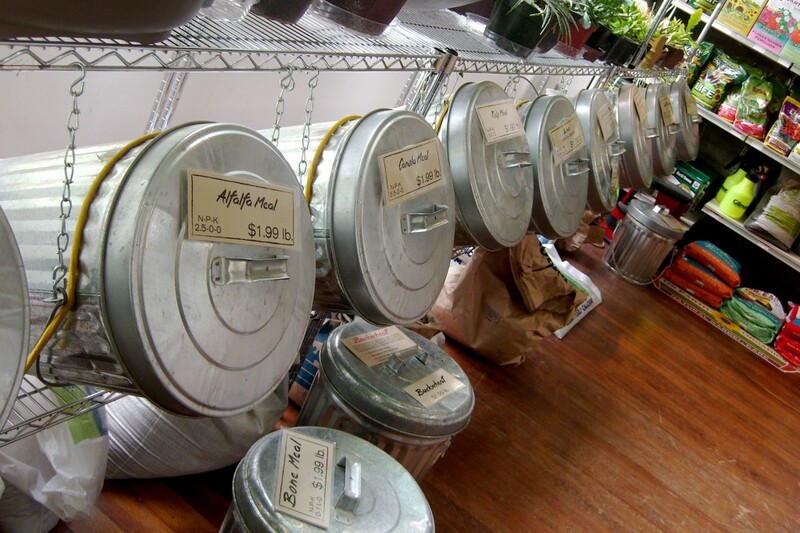 I’ve had my eye on their indoor worm composting system for a while. 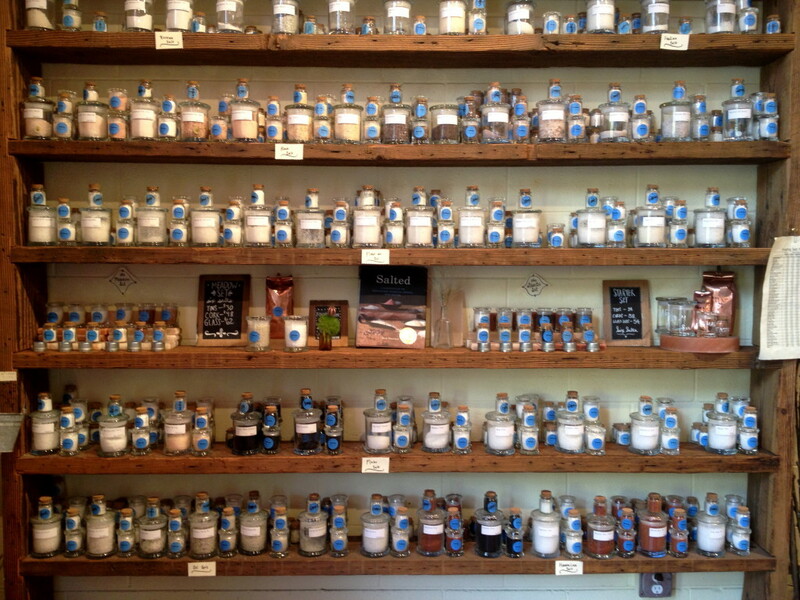 The Meadow is another great store for the foodie on your list, or a host present. Their specialty is high-quality salt from around the world. Since salt is a topic most people don’t know much about, they make it easy with a bunch of sampler gift boxes in a variety of price ranges. I received one of these as a gift a few years back and LOVED it. I used it for the entire next year! But salt is not their only specialty, they also sell, chocolate, wine, cocktail bitters and flowers. Like the salt, they have some nice chocolate gift packs. Cocktail bitters would be a fun gift too. For more photos see my previous post on The Meadow. Next Adventure is a locally owned outdoor supply store. 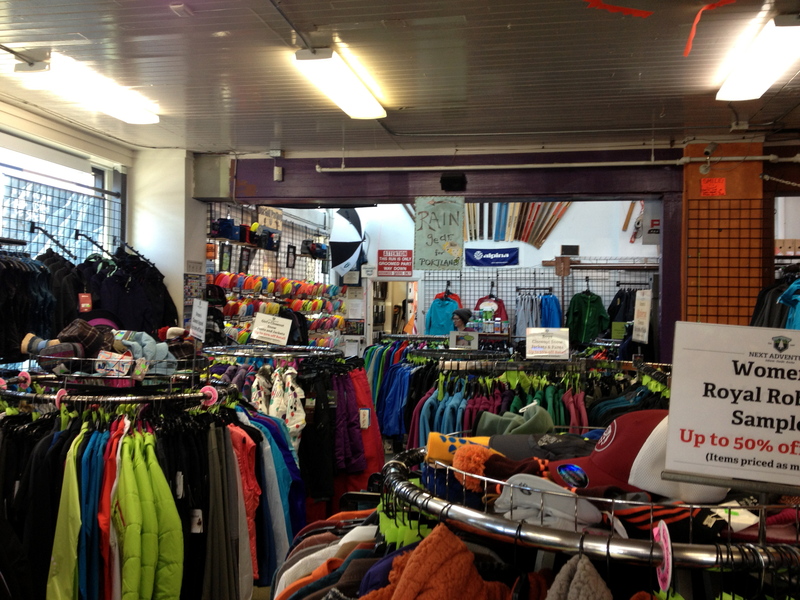 Thye have the usual stuff you’d expect, clothes, shoes, skis, boots, but those are tough (and expensive) to buy as gifts. Instead how about some frisbee golf disks? Portland has some great courses, buy nice one for an experienced golfer and or a few started disks for the newbie. I really enjoy their camping supply section where they have knives, tools, hatchets and some fun cooking supplies. Yes, you could get the same stuff at REI, but this is the perfect opportunity to support the “little guy”. 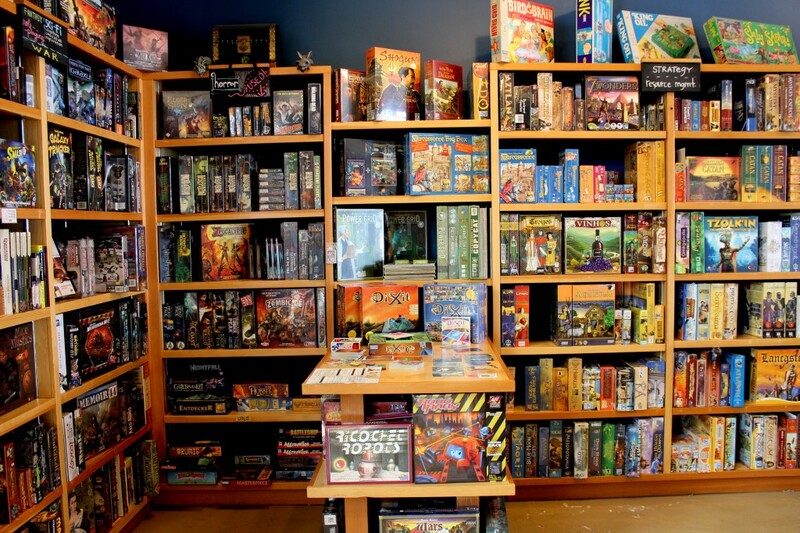 Confession: I’m kind of a board game geek and the board game scene is on FIRE right now. There are so many amazing games coming out all the time. And I’m not talking Monopoly and Sorry here… these are much better and much more fun. 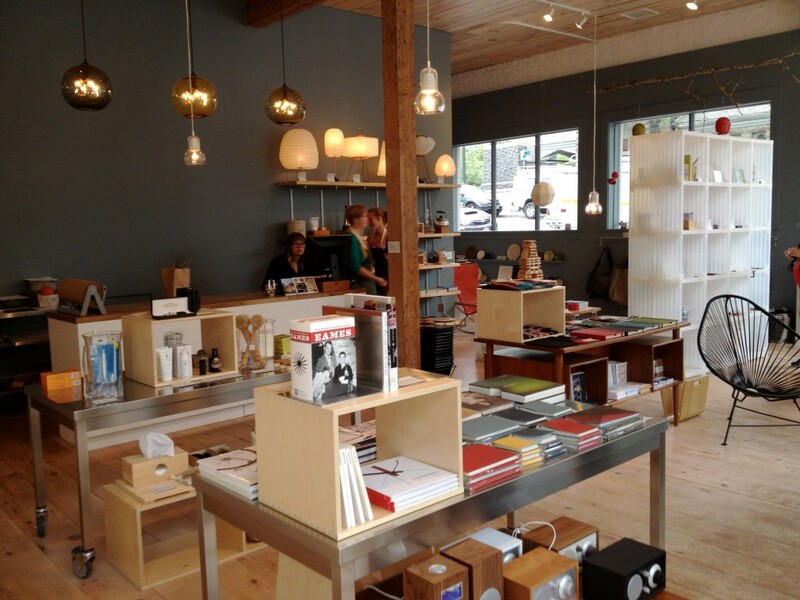 My favorite place to shop is Cloud Cap in Sellwood (although Powell’s Books has a pretty good selection too). The “gateway game” is, of course, Settlers of Catan, but there are so many more and the folks at Cloud Cap give excellent suggestions. In this digital world, games are a wonderful way to give a physical gift. Presents of Mind is cool spot on Hawthorne for cards, locally made clothes, jewelry, bags, books and kitsch. They have a great selection of craft, humor, and art books. Their t-shirt section is a great spot to look for the man in your life and their baby clothes are adorable!!! “Made in Oregon” onesie anyone? Mostly, this is a good spot to find some “Portland” gifts, perhaps to send to loved-ones out of town, or for people (like myself) who like to show their hometown pride. 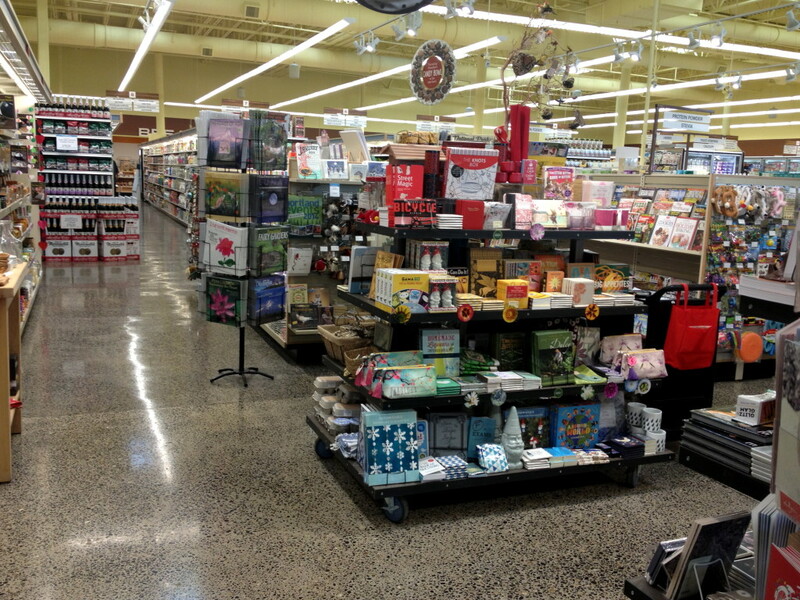 Ok, I know this is a grocery store, but have you looked a their gift section? This has become my go-to stop over the last few years for stocking-stuffers and quick gifts. 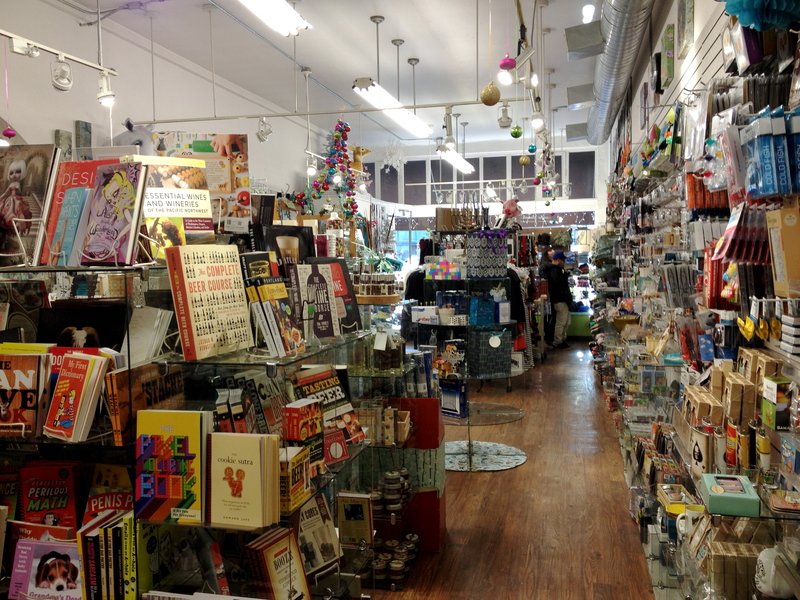 Cool coffee mugs, weird gadgets, kitchen utencils, toys, books on local topics, and a great selection of magazines. Not to mention their make-up and beauty department, and of course, locals foods. You could easily put together a nice gift on your lunch hour. Well, I hope this list helps with this crazy, hectic holiday. I have yet to start my own Christmas shopping, so you may see me in any or all of these stores. Good luck. Let me know if you make any amazing finds.